Kedar is a ceremonialist, healer, licensed psychotherapist, intuitive and teacher of psychological and spiritual awareness. Over the past thirty years he has developed an effective and unique approach to emotional and spiritual healing by braiding together his depth of clinical knowledge of experiential psychotherapies with more nature based, indigenous wisdom teachings and healing methods from around the world. Kedar is the founder and director of Rites of Passage Council, an organization offering nature based treatment and professional training programs. Kedar is a member of an International Wilderness Guides Council and known for his ability to blend many creative and expressive forms of depth psychology and therapy, with more ancient methods of healing through vision quest ceremonies, sweat lodge ceremonies, rites of passage experiences and personalized ceremonies and rituals in his work with individuals, couples, groups and communities. You can reach Kedar at 828-231-4290. On Thursdays and Sundays the quiet cobblestone streets of Chichicastenango erupt into a vibrant and dynamic market where travelers and the K’iche Maya from the surrounding highlands converge to buy and sell. The main market is set between two large white churches. Standing at the top of the church steps looking down, the center is swirl of color. 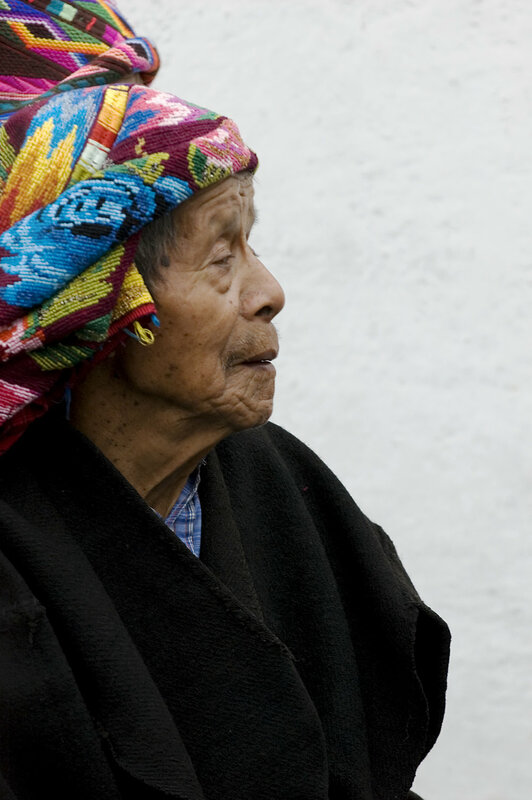 This elder wears the traditional headscarf for men in the area and his face shares the landscape of his entire life. There is a reverence for the elder wisdom among the Maya ~ both the men and the women.